The World Land Trust (WLT) was featured last Saturday in The Independent, one of Britain's leading broadsheet newspapers. The feature, "50 Best Christmas Presents" included WLT's Rainforest Gift Acres and caught the imagination of scores of people struggling to find unusual Christmas gifts. Sir David Attenborough (WLT Patron) launched a project in June, which has so far purchased over two and a half square miles of rainforest in Ecuador. David Gower (also a Patron of the Trust) and David Shepherd launched an initiative in October to secure an elephant corridor between two protected areas in N E India. The featuring of the World Land Trust in "50 Best Christmas Presents" has jammed the switchboard at times, but it will mean another area of rainforest will be saved forever, with all the species that live in it. 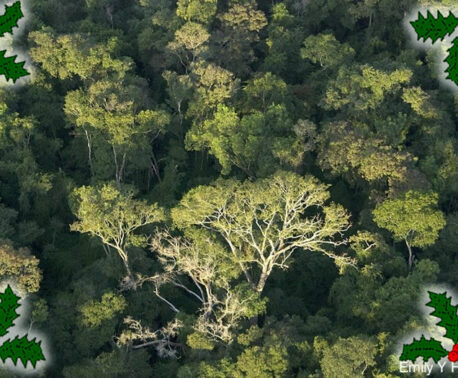 Read the full press release: Independent boosts conservation of tropical forests. Details of the WLT's conservation projects can be found in our Projects section.